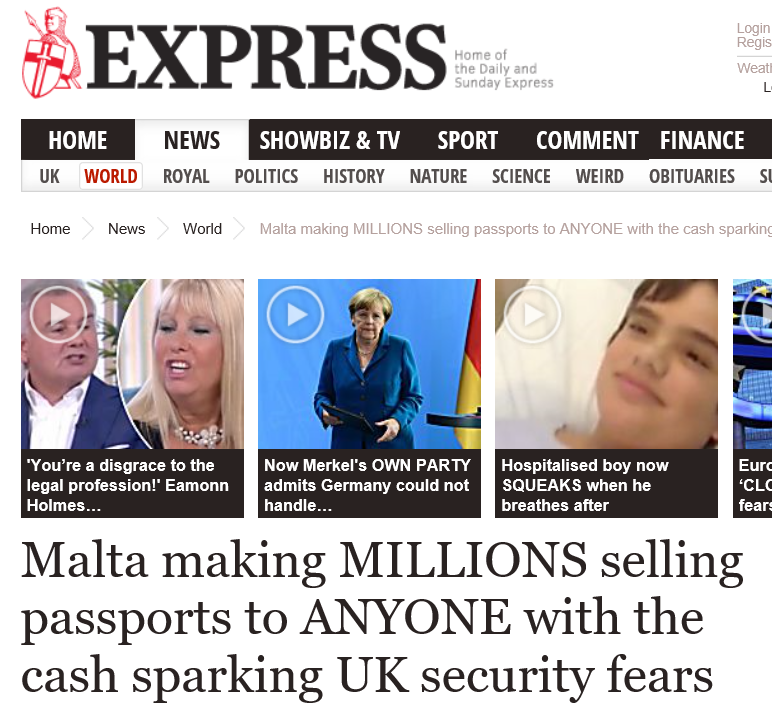 Malta’s sale of passports is being used by British politicians as leverage to argue against the UK retaining freedom of movement when it leaves the European Union. The Daily Express, which supports the UK’s departure from the Union and helped campaign for a referendum vote in favour of Brexit, reports that Tory MP Andrew Rosindell, who sits on the Foreign Affairs Committee, said the Malta government’s sale-of-passports programme shows the UK must “urgently” put an end to free movement. I wonder how much all this exposure is worth in advertising terms – perhaps the government will ask Saatchi & Saatchi to work it out as they did to justify the 19 million euros they spent on hosting the Commonwealth Heads of Government Meeting and the EU-Africa Migration Summit.